MT Summit is an international conference, which takes place every two years and brings together people from the academic world and commercial companies developing machine translation (MT), and, what is very important, users of MT systems and other MT - related tools. The conference overviews state of the art in MT, its major contemporary trends and practical applications. Before the main conference two full days will be devoted to Tutorials and Workshops. 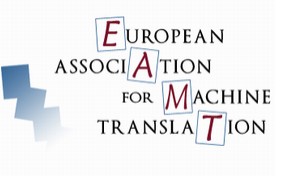 The conference programme for the MT Summit 2013 will include keynote speeches by renowned experts in the field of Machine Translation, panel discussions and presentations of submitted and invited papers organized in two programme tracks - research and commercial/user. An exhibition of commercial and research systems will be held during the conference as well as a 'Project Village' featuring the best of recently funded collaborative work. The MT Summit 2013 is sure to be of great interest for people from both academia and industry. For scientists it provides a unique opportunity to share their research results with colleagues and understand user demands. Business participants will benefit from updates on leading-edge R & D in MT and have a chance to present their products to potential customers. There will be a rich variety of sightseeing tours in the beautiful surroundings of Nice both before and after the MT Summit. Four workshop proposals have been accepted.